HP tourism runs overnight Volvo buses from Delhi to Manali. Board the bus from Himachal Bhavan around 7:00pm to arrive Manali early in the morning. Arrive in Manali by 10am. You’ll be met by our guide who’ll transfer you to the Hotel. Post lunch, you can occupy yourself with local sightseeing. 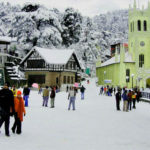 Explore the Mall road of Manali in the evening. In the months of May & June it’s busy with Indian tourists. Overnight Hotel in Manali. After an early breakfast we drive to Jagatsukh village the start point of our trek where we’ll meet the other team members (Cook and the Horsemen/Porters). The trek starts from Jagatsukh going uphill all the way to Sarotu Thach via Bhanara Village. The trail leads through beautiful Pine woods and green meadows. Overnight Camp. Today the trail goes uphill once again and once we cross the stream the route eases and gets quite gradual till we reach a clearing called Jogidug – a holy place. A little uphill from there takes us to our camp at Lamadug. 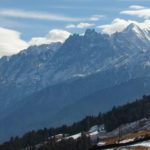 There are some astonishing views of the Kullu/Beas Valley and also snow capped mountains and peaks of the Pir Panjal range of the Himalaya. Overnight Camp. 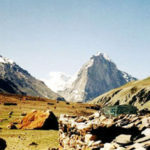 It’s very gradual to the camp of Raori Kholi and not very long, but after we camp one can go for a nice walk around the camp exploring the sprawling meadows which is the grazing land for horses and sheep. Overnight Camp. Today we start with an easy ascent till the majestic Deo Tibba and Indrasan become visible. From there we start our gradual descent into the Deo Tibba valley. As we descend we walk through trails filled with rhododendrons, silver birch and scented junipers. 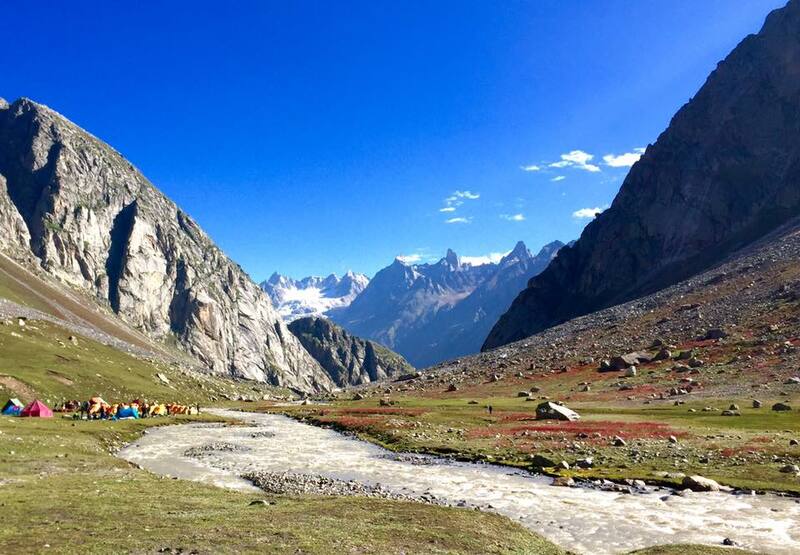 We descend to Alain River cross it and set up camp at Pyangneru (the base of Deo Tibba). 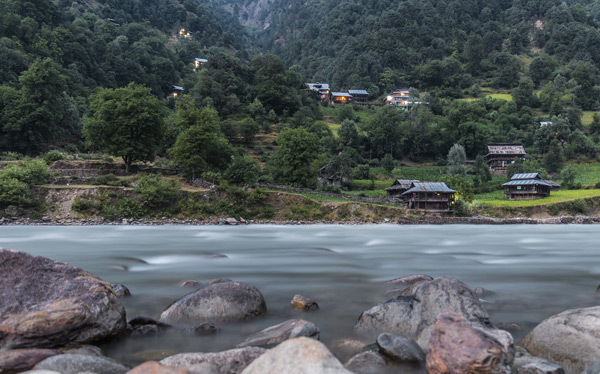 You could go ahead on an excursion to the snout of the Deo Tibba Glacier from where Alain River flows out. Overnight Camp. 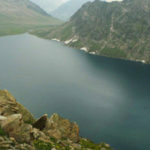 Today is a special day as we reach our highest point at the top of the Hampta pass (4270). 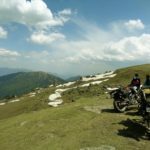 It’s uphill all the way till the Pass with excellent views of snow capped peaks of the Pir Panjal Range of the Himalaya. From the pass there are great views of Indrasan and neighboring peaks. After the pass it’s a steep descent all the way to the other base of Hampta pass – Shea Goru. We camp at a beautiful campsite by a small river. Overnight Camp. We cross the river to get on to the true right and then start our descent till we again have to cross the same river back. It’s a steep descent till we reach the left bank of the mighty Chandra River after which it is a flat walk to Chattru. We board the taxis waiting for us, bid farewell to our horsemen and drive to Manali (4 hrs). We check-in to the hotel on arrival. Overnight Hotel. – Transport from Delhi to Manali & back by AC Volvo bus. – Porterage of all the personal baggage & camping equipment.